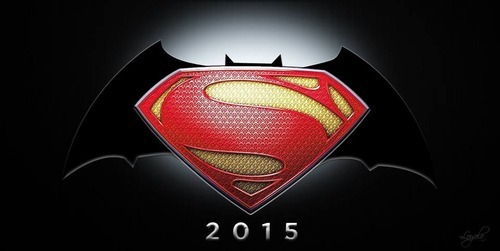 As you all must have heard by now, Warner Bros. has announced that Superman and Batman will finally be appearing in shared live-action film in 2015. This is obviously big news, I even saw them cover it here where I live during today's noon news hour. 2. Will it be Superman & Batman, or Superman VS Batman? Is Batman going to be antagonistic towards Superman because of events in Man of Steel? Is the dynamic between the heroes going to be the main conflict in the film, or are they going to team-up against a common enemy? I would think the safe bet is on both. Bruce Wayne getting close to Lex Luthor through some business deal seems a very plausible scenario... could we even see a Batman villain involved? 3. When will Superman get his "The Dark Knight"? The thought of seeing Batman and Superman together in live action makes the 5-year-old in me all giddy, but I'm curious how this affects the Superman franchise going forward. Does this movie effectively replace Man of Steel 2, or is it meant to fit in somewhere between a trilogy of Superman films? Or is Batman in reality going to play a smaller part than we're all thinking right now? Will we still get the chance to see a fully-formed, fully-realized Superman at his best, facing off (as Batman did) against his greatest arch-enemy Lex Luthor, in a spectacular, engaging film? Not a team-up, but a solo movie, one that is quintessentially 'Superman", and is as memorable and revered as "The Dark Knight" is for Batman? 4. What will the Batman franchise look like after Superman/Batman? What are WB's plans for Batman after this film? When might we see a new solo Batman flick? Will it come after the inevitable Justice League film? It will almost certainly be a more fanciful take, perhaps with more colorful versions of Batman's rogues gallery. Are we more likely to see Robin in this more fanciful world? 5. Why does WB feel this is the right time for a Superman/Batman Movie? How long has the studio been planning to make this move? Was it a decision that Zack Snyder and David Goyer were involved in, or did the idea come down from WB higher-ups? Did they count on "Man of Steel" making more than it has (which has actually not been bad at all!) at the box office, and are looking to give the next film the "Batman Bump"? Are they just really eager to get the shared DC Universe moving on the silver screen the way Marvel has? Perhaps they just came up with a great story for these characters that they are anxious to show moviegoers. Frankly, I don't know whether it is or is not the right time, but like the rest of the world I'll be watching the developments closely!